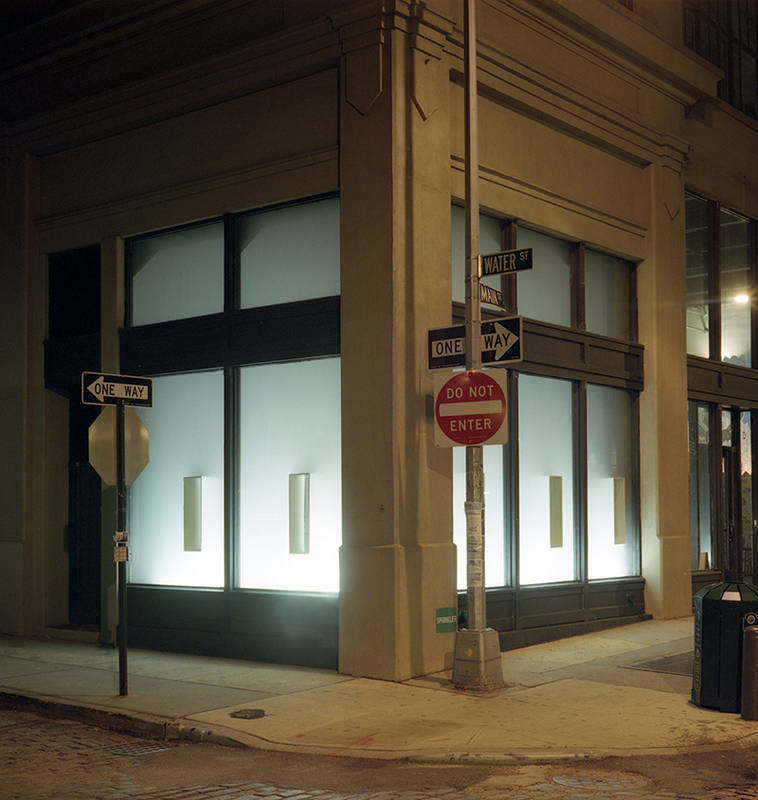 This tem­po­rary instal­la­tion was part of the 2005 DUMBO, Art Under the Bridge Fes­tival. 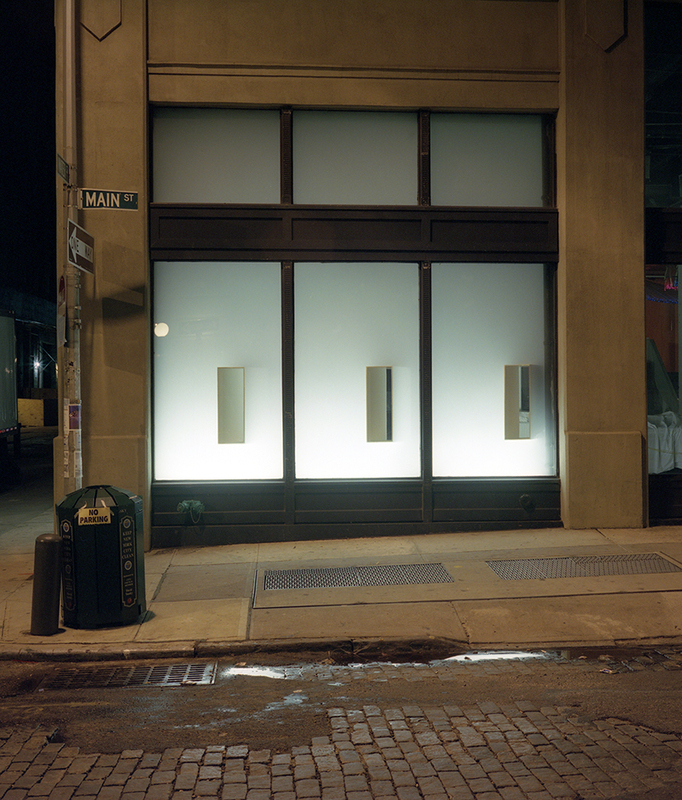 Our pro­posal was to use fog and light to trans­form the appear­ance of a corner store­front. 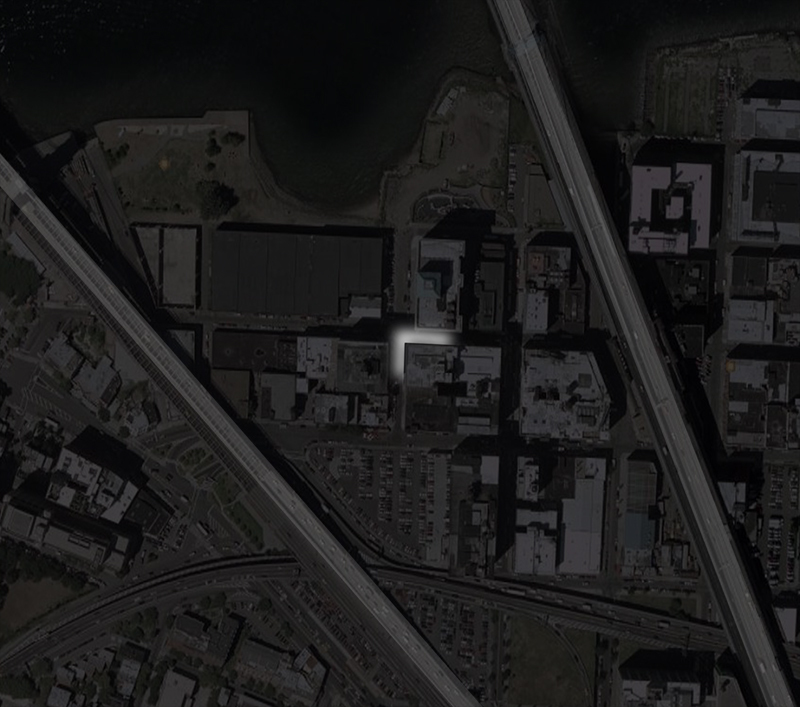 We were inter­ested in making a volume or mass out of an ethe­real medium. 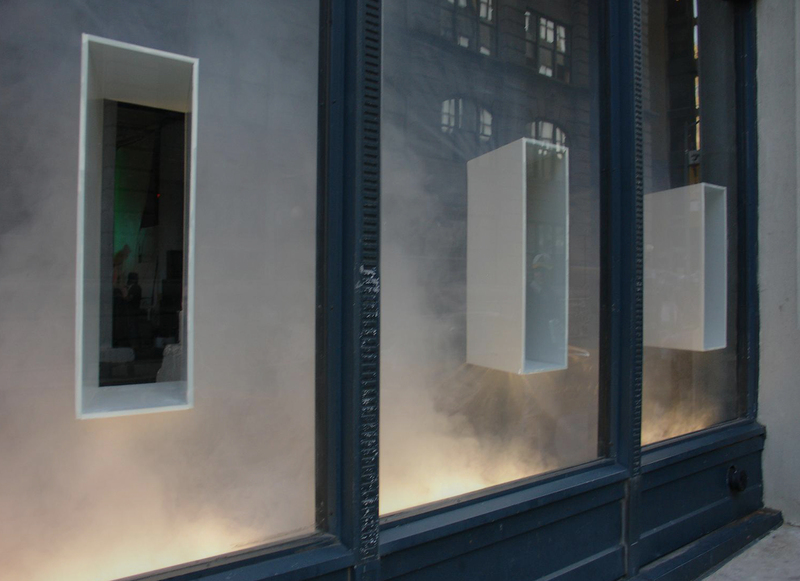 As the fog filled the store­front, the appear­ance of a white wall with window-like open­ings took shape. 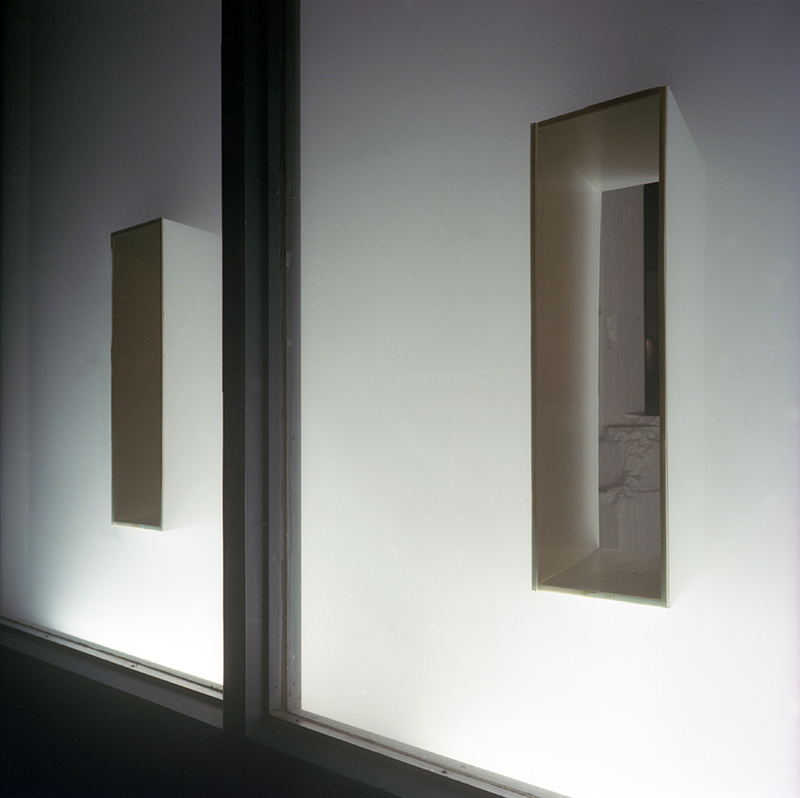 Vision through the existing glass wall was reduced to views through the box aper­tures. For a moment, con­cep­tu­ally, the glass wall became a ghost of its pre­dess­esor, the masonry wall with punched openings.